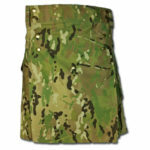 Camouflage is something which was initially launched by the hunters to help them in their hunt. 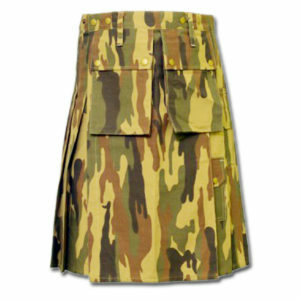 Moreover to keep them hidden, during their hunt, from sight. 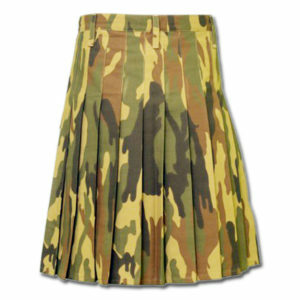 Even today, camouflage has come a long way from its foundation, and now it has become a fashion trend. 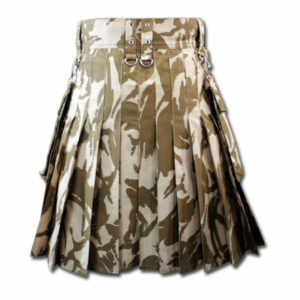 The thing which was once considered as a disguise to hide someone has now become a style statement which can turn the heads when you adopt it correctly. 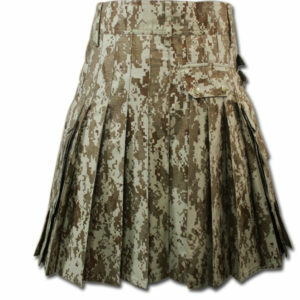 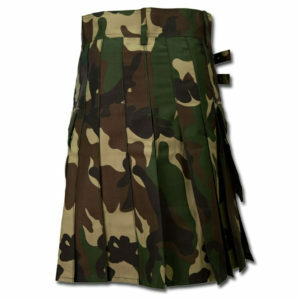 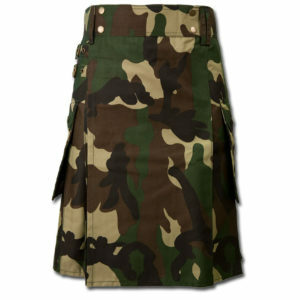 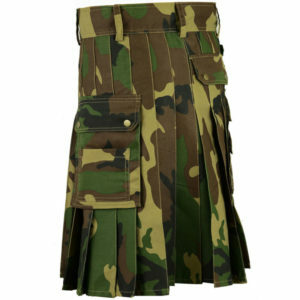 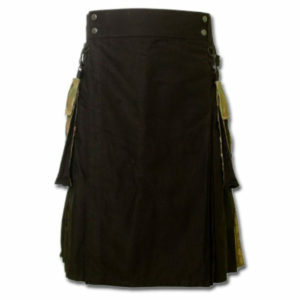 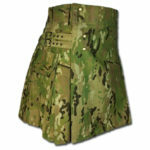 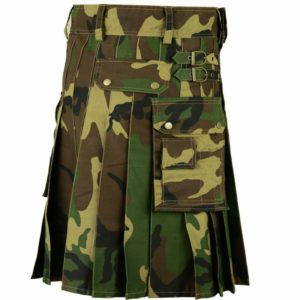 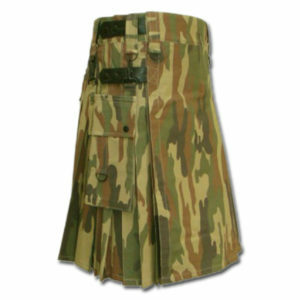 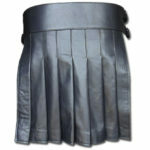 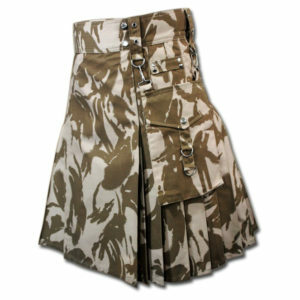 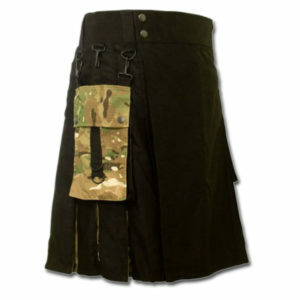 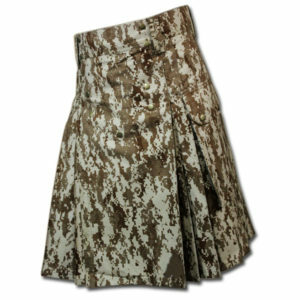 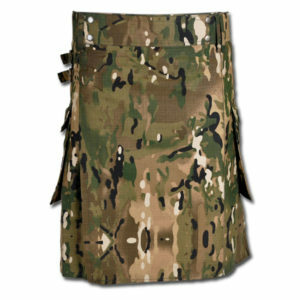 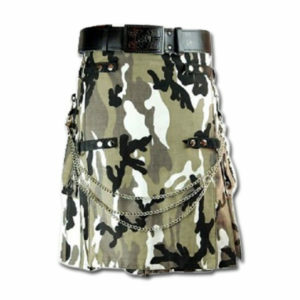 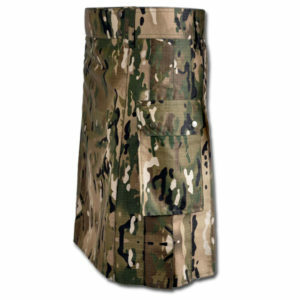 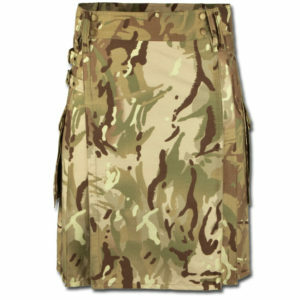 We have for you special range of camo kilts for sale. 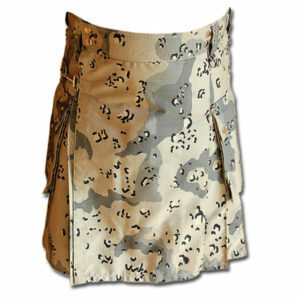 The camo range we have consist of different prints, styles and colors that suits you and you can wear it with any top. We ensure you that each of them will be custom to order with your exact measurement.